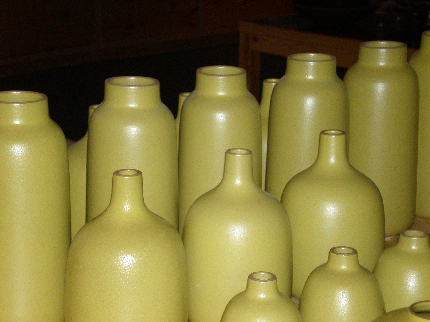 Until just recently, Mid-Century American pottery by Heath Ceramics was only available up north at their main headquarters in Sausalito. But, this December, one central LA hood was abuzz when the long beloved ceramics company opened up shop & studio right smack on Beverly Blvd. 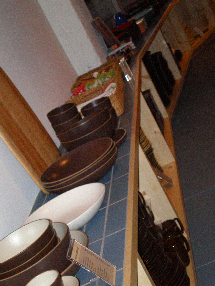 On a long walk (yes, in LA occasionally people–from NYC and Chicago at least–walk) with my friend T. the other day, I stopped into the spacious shop and perused dishware I just assumed I could never afford; mostly because T. loves such stuff. The saleswoman was crazy attentive and helpful, and seemed like a true believer in the product. I think she would have been psyched to give us a full-on history lesson. Okay, I admit it. I was terrified that she might give us a full-on history lesson. 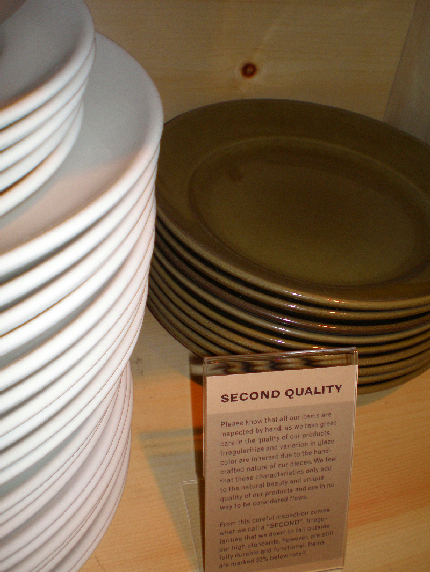 But, instead, she pointed us in the direction of the "Second Quality" section, which is basically a slew of perfectly beautiful Heath pieces with tiny irregularities or imperfections for a fraction of the price. That's what we like to hear, no? 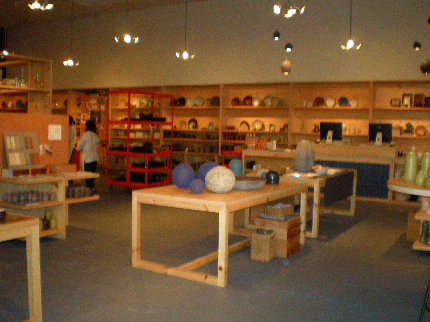 Next, the saleswoman took us on a tour of the studio in the back room, where much of the pottery is actually made. 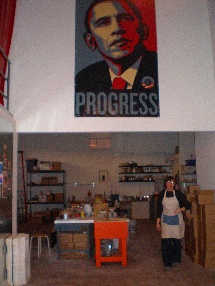 Maybe it's because of my background, but there's just something about an art studio that fills me with happiness (and a tiny bit of longing). To be fair, I've always been terrible with clay (I'm more of a drawing and painting kinda girl) and I have disliked the process again and again when I insist on taking classes, but ceramics still always has this allure for me (sort of like jazz dance and piano lessons). Anyway, Heath pottery for cheap. Sounds pretty good to me. Oh, and TGIF.